Ok, I know it has been a while since I have posted. I have been trying very hard to get away from the severe depression that has made all my posts sound like a pity party. Hopefully I have been successful. i have also learned several things in the past months. First is a few changes in my diet has made a difference in my pain levels. I have almost completely eliminated read meat from what I eat. I eat mostly chicken and fish now for protein. I do enjoy beans, but they don’t like me so much. I have to avoid things that will give me gas, or be willing to face the digestive issues that result and spend most of my day in the bathroom. That means no Diet Pepsi too, dammit. I have cut way back on the amount of coffee I drink. I was drinking up to 4 full pots of coffee a day. It was extremely rare to find me without a cup of coffee nearby. I slowly reduced that to two pots, and now it is just as likely to find me with a cup of decaf coffee as it is fully leaded. I am also trying to cut way back on carbs. This one is actually harder than giving up most caffeine. More carbs means more pain, but they are sure hard to get away from. Particularly because I absolutely adore pasta. Growing up, I had a super fast metabolism so that i could eat whatever I wanted whenever I wanted. Losing weight was never a focus, gaining enough to keep my doctor happy was a different story. No matter what i did, I couldn;t gain any weight. I am 5 foot 10 inches tall, and didn;t break 100 pounds until I got pregnant with my first child. I ate alot of “fillers” as a child, things like pasta and breads just to get full. I always ate a healthy diet, I just ate a lot of other stuff too. Anything to get filled up for a while. Making diet changes are hard for anyone but growing up the way I did, makes denying myself that much more difficult when it comes to food. I have never had to do that before. Changing over 40 yrs of diet habits is proving difficult to say the least. Either way, the hormones have helped as well. I can think more clearly. Before it was like thinking through a fog cloud surrounded with cotton balls. This is sometimes called “fibro fog”. You just can’t think straight, lose your train of thought, or simply lose your words. I knew what i wanted to say, but didn’t have the words to do it. I felt like a toddler trying to explain physics to a science professor a lot of the time. While i am by no means 100%, I am definitely improved. YAY HOO! There are other things the HRT has improved, I just don’t have the right words to explain it. You know how sometimes things just feel off or wrong but you really can’t put it into words properly? Ya, that. So, now that i have rambled on for quite a while, and accomplished not much of anything I will release you to the rest of your day, and thank you for reading. 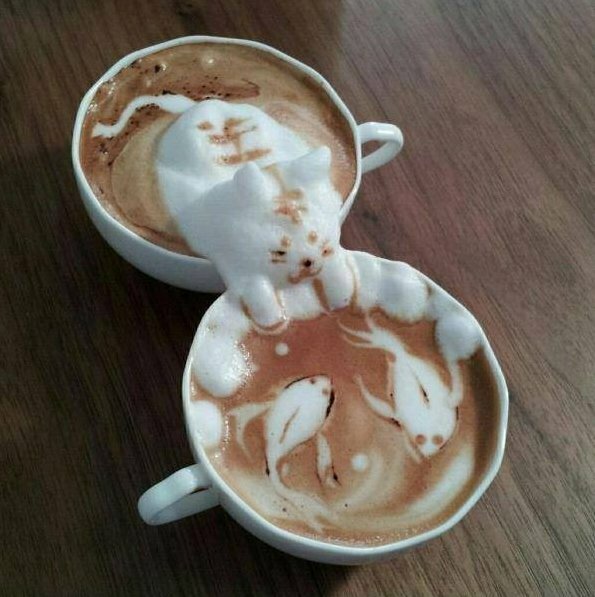 Have a cup of coffee on me, but be warned one is decaf…which one is anyone’s guess. Good Luck!